Shortly after moving to Savannah to open the Honeybee Bakery with my aunt Lucy and uncle Ben, Lucy gently informed me that I was a witch. A witch! She said it runs in her family, and that I inherited the gift from my father's side, too. Of course, I didn't believe her at first. Still, after a while it began to make sense. It explained my mother and father's furtive whispers, the way strange things seemed to occur around me, and the feeling that I was somehow different from other people. So after a while I got used to the idea of being a witch, specifically a hedgewitch with an affinity for kitchen and garden magic. Since accepting who I really am, my life's been pretty awesome as I learn about the Craft from Lucy and the other members of the spellbook club, not to mention how much I love being able to help our customers by adding a touch of beneficial magic to our yummy baked goods at the Honeybee. Oh, sure, there was that horrible woman Uncle Ben was accused of killing right after the bakery opened, but with some help from my new friends I got to the bottom of that. Then there was that body Declan McCarthy and I found in Johnson Square – what a mess that turned out to be! And at Halloween, too, with cemeteries and ghosts and all sorts of spooky stuff. In the end I figured that one out, too, as well as discovering an ancient magical society that had been operating in Savannah since before the Revolutionary War. Unfortunately, that wasn't all I learned. If I thought it was hard to get used to idea of being a hedgewitch, you can imagine my chagrin at being told I’m something called a candela. A lightwitch. The detective (!) who informed me of this so-called fact said I had a calling to remedy dark magic in the world. A calling. Snort. Right. I think I’d know if I had a calling. And if being a lightwitch means I can’t practice dark magic, so what? I never wanted to dabble in the dark arts anyway. Big deal. Except, of course, it is a big deal because yet another dead body turned up. This time it was the director of Georgia Wild, an environmental agency where I'd been volunteering. Sure enough, there was something decidedly off about that death, and not just that it was murder. Since the biologist who also worked for the agency was Mimsey Carmichael’s granddaughter, and Mimsey is the spellbook club’s unofficial leader and one of my best friends, I really had no choice but to step in and track down the killer. I have to say, this lightwitch business sure would be a lot easier if I knew what a candela actually is. Too bad the detective who dumped this revelation on me left to track down some other "hotbed of evil" in New Orleans. Sheesh. So for now I’m trying to figure it out on my own. It’s a good thing I have so many friends to help me! Still, the more we look into just what "light" and "dark" mean, the murkier it gets. Perhaps it comes down to the intention behind any given action. What do you think? Bailey Cates believes magic is all around us if we only look for it. Having apprenticed with a master herbalist for a year, she's prone to concocting teas and tinctures for family and friends from the stash of herbs stored in the corner cabinet in her office. 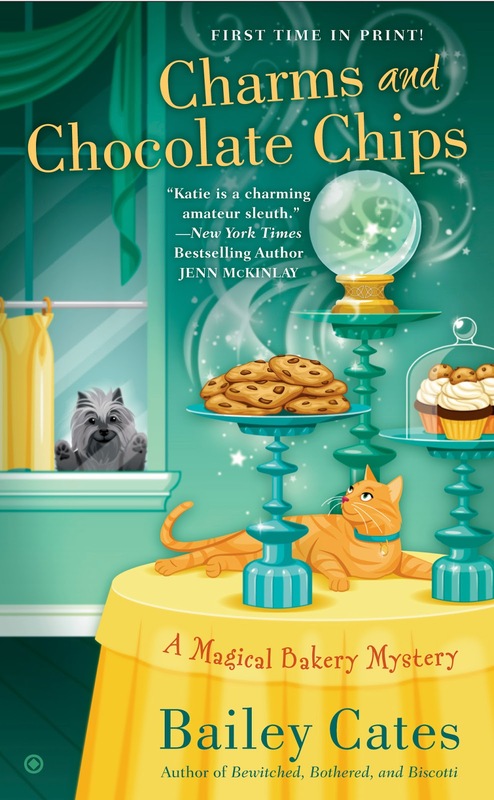 She is currently working on the fourth Magical Bakery Mystery, Some Enchanted Eclair. Bailey also writes the Home Crafting Mysteries as Cricket McRae, and has a standalone western mystery, Shotgun Moon, written as K.C. McRae. For more information about Bailey and her books please visit www.cricketmcrae.com . 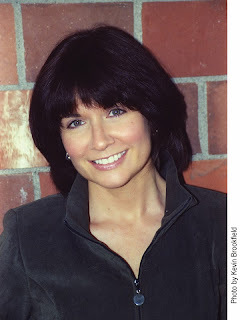 You can also find her on Twitter @WriterBailey and on Facebook. 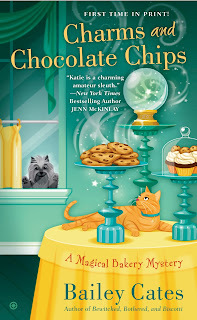 I am looking forward to the next book in this series and can't wait to see where life leads Katie. I love this series - already have this book on order! Lol, Willow! Susie and Kuzlin, glad you like the series! Finished Shotgun Moon a couple of weeks ago. Really enjoyed it. Will we hear from Merrie again? I love this series, and hope the next book is here soon! Thanks for the guestpost.